Recorded Live at Alameda County Coliseum, Oakland, CA, USA - July 23 & 24, 1977. VG/EX- Audience Recordings :: Silver CDs :: Lossless FLAC. Files: 42.:: Size: 1.86 GB (flac). Personnel: Jimmy Page, Robert Plant, John Paul Jones & John Bonham. 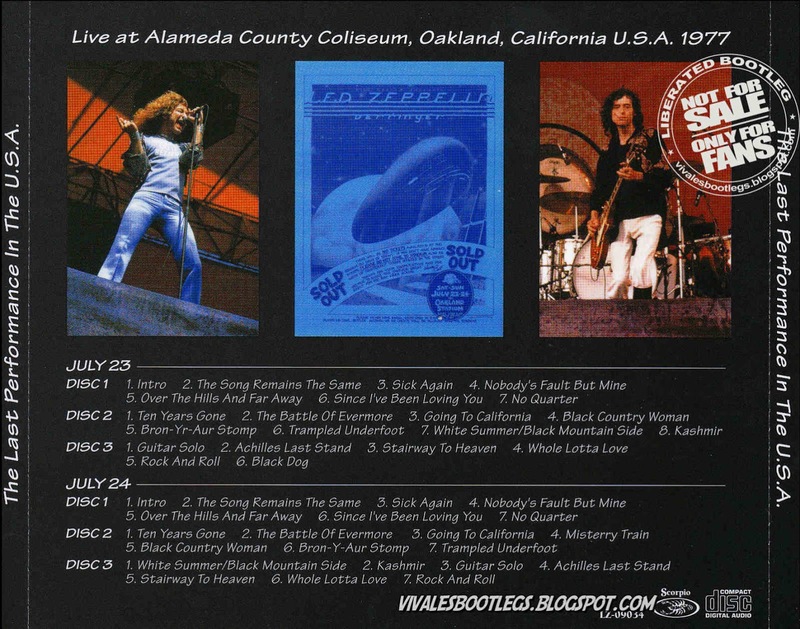 Notes: The Last Performance In The U.S.A. on Scorpio presents both concerts at the Alameda County Coliseum, Oakland, CA edited from the various tapes to present the best sounding and most complete versions on silver disc. 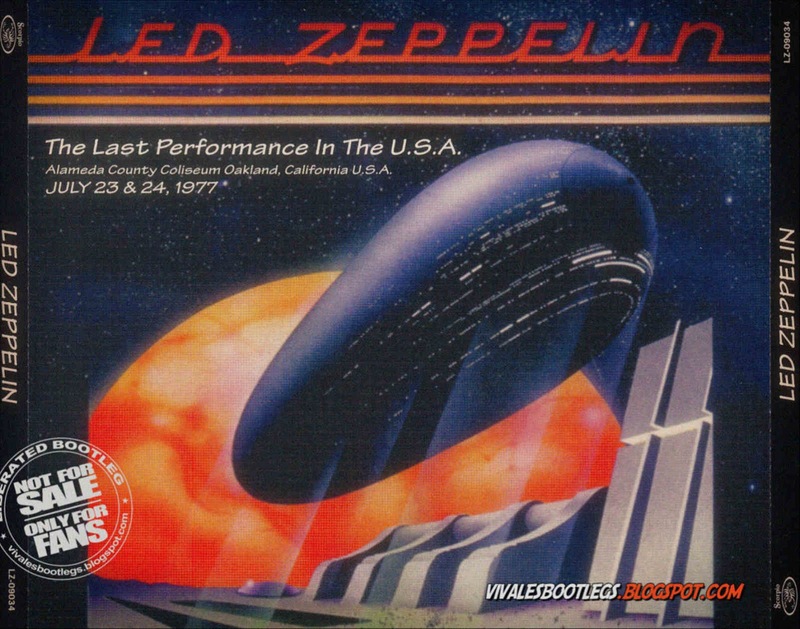 These two aren’t the best Zeppelin gigs, but are enjoyable. And since they are their last two shows in the US, are historically important. Scorpio package the two in a six disc quad case with photos from the gigs on the inserts and a reproduction of the Larry Tuten concert poster on the front. Scorpio made very effort to make The Last Performance In The U.S.A. the definitive versions of these shows and have succeeded...<< Info taken from Collectors Music Reviews >>.